The second part of our 2-part series about “Safety tips used to minimize the dangers of harsh winters” is directed towards Massachusetts motorists. Part 1 posted on our Boston Car Accident Lawyer Blog discussed the dangers of harsh winters as they pertain to roofing and power outage accidents and offered several tips about preventing these types of injuries to employees, tenants, and customers. Our Boston personal injury attorneys want to draw attention to the dangers motorists face during harsh winter storms, which are a frequent cause of Massachusetts car accidents. 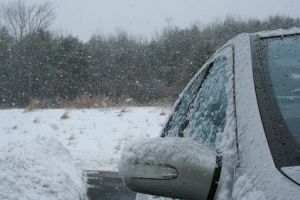 Winter weather can cause havoc for motorists trying to manage their way through a storm. Massachusetts drivers often take an “I’m indestructible” attitude in getting where they need to go on winter storm days but that attitude can often get them in trouble. -Snow banks limit visibility so be extra careful approaching intersections and while driving on narrow streets piled with snow. Watch for pedestrians. -Before putting your vehicle in drive you should clear all ice and snow from roof, windows, license plates, exterior lights and mirrors. This allows for better visibility and fewer safety hazards for you and other drivers. Failure to do so could have legal ramifications. -If your vehicle becomes entrapped in a snow bank, be mindful of the dangers of carbon monoxide poisoning if your tailpipe becomes clogged. Shut off your engine and cracking your window. -Always carry a charged cell phone in case you get stranded or are involved in an accident. -Don’t leave your vehicle if you become stranded. Have extra clothes, blankets, perishable food items, and bottled water available in your vehicle. -During winter storms, Massachusetts State Police will determine what speed is considered safe and reasonable so motorists should slow down to below the speed limit. It is recommended to drive below 40 mph on all state highways and roadways during severe winter storms. Failure to do so is considered negligent and action may be taken. -Large truck drivers are encouraged to pull off the side of the road to a safe spot during severe weather. Vehicles with excessive weight can be difficult to maneuver causing higher risks for accidents. -Allow plenty of space between your vehicle and others. -Stay off the roads and take public transportation when possible. Extra volume on icy and slippery roadways can cause motor vehicles accidents to occur more frequently. If you have suffered a personal injury from a Boston car accident, contact the Law Offices of Jeffrey S. Glassman for legal advice. Call for a free no-obligation appointment at 1-877-617-5333.